TOKYO, Japan, March 21 (NNN-AGENCIES) – The 2020 Tokyo Olympic committee, unveiled the official relay torch for the Games today, featuring Japan’s iconic cherry blossoms. The unveiling came exactly one year before the Olympic flame is due to arrive from Greece at Matsushima Airbase in Miyagi prefecture. Bearing a motif of sakura cherry blossoms, Japan’s most familiar and best-loved flower, the torch was designed in line with the relay’s theme of “Hope Lights Our Way,” and coincides with the arrival of the country’s cherry blossom season in March, 2020. With the colour of “sakura gold,” the torch has a length of 710 mm, and weighs one kg in the body, plus a 200 g fuel cell, according to the Olympic organisers. The shape of the torch resembles that of a Japanese traditional “Sakuramon” cherry blossom emblem, as it constitutes a central column with five petal-shaped attachments. It was shaped into this form, using the same aluminium extrusion technology, used in the manufacture of Japan’s bullet trains. As an effort to showcase the 2020 Games as “reconstruction Olympics,” 30 percent of the aluminum used in the torch came from material recycled from temporary housing, in the devastated north-eastern Japanese prefectures in the 2011 earthquake, tsunami and nuclear disaster. 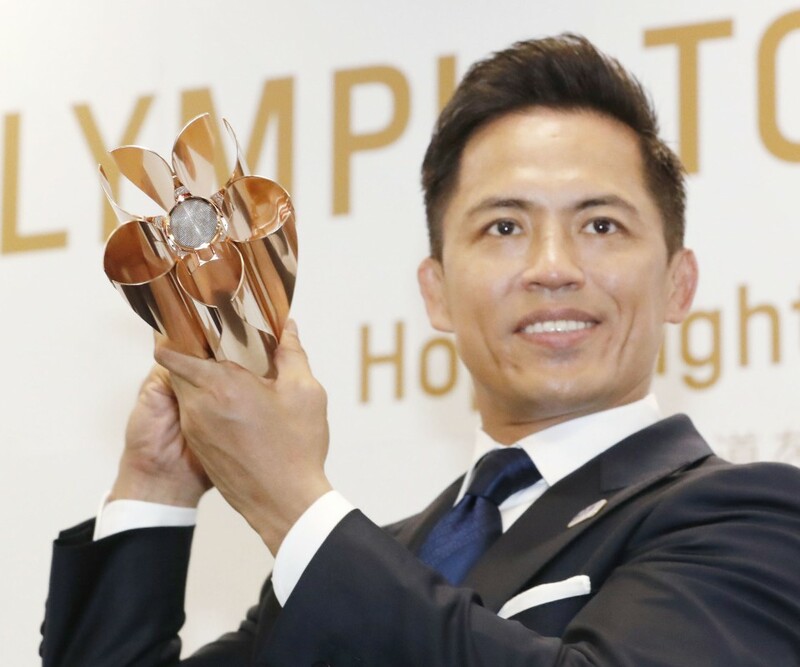 Tokujin Yoshioka, the torch designer, who is also active in the fields of architecture and contemporary art, unveiled the torch together with Tadahiro Nomura, Japan’s three-time Olympic champion judoka, and one of the torch relay official ambassadors. The Olympic torch is expected to arrive in Japan on March 20, 2020, and will be carried to Ishinomaki Minamihama Tsunami Recovery Memorial Park, in Ishinomaki, Miyagi Prefecture. The flame will be displayed in some cities in the disaster-hit prefectures, before the relay starts on March 26, 2020, at the J-Village national soccer training centre in Fukushima prefecture and will travel across all 47 prefectures in Japan, over a period of 121 days. About 10,000 torches will be prepared for the relay which will conclude at the New National Stadium in Tokyo on July 24, 2020, for the start of the Games.